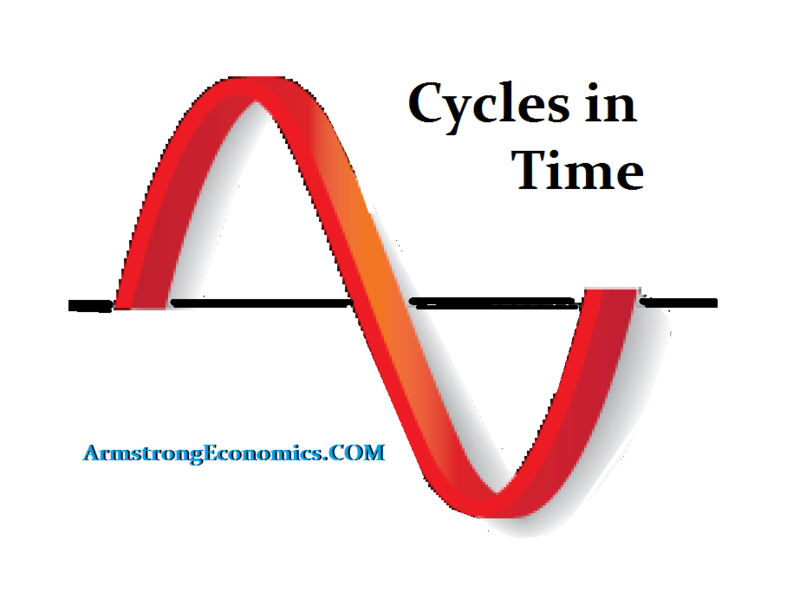 In my own study of cycles, I have observed that cycle inversions occur more often than not at a time when the trend in that time frame is starting to change. Have you observed the same? I look forward to your trader service. ANSWER: Correct. Cycle Inversions unfold routinely when trends are shifting. The fact that we are getting these cycle inversion now is definitely a precursor of what is coming between 2018 moving into 2021. When the same cycle has been producing alternate events and suddenly it begins to produce just highs, look out – for it is warning that the foundations are changing. This is what we are witnessing currently. We can taste it. With interest rates at historic lows, and you have the Japanese central bank buying 75% of the government bond market and the ECB owning 40%+ of all government debt, an uptick in interest rates is going to make the world economy simply go completely nuts. « Is their a Social Cycle in Attitudes?